Many people drink and then realize that they should be driving home or there is some blood or any other medical testing next day or so. Most of the food and drink we take stay in the body for some time. Exactly, how long anything stays in depends on many factors. When taking some alcoholic drink, your age, gender, weight and metabolism will decide how long it’s going to take to be completely metabolized and excreted. Also, type and amount of alcohol, any food you have eaten before or with the drink(s), stress and used medications also affect the metabolism of alcohol. It is a known fact that men metabolize alcohol mush faster than women (in general). A person usually takes one hour to metabolize one unit of alcohol (or 10ml of pure alcohol). For comparison, a 330ml can of 7% alcoholic beer has about 2.3 units of alcohol. It means that your body needs over 2 hours to process the alcohol from this one beer can. Alcoholics and people that drink often process much higher amounts of alcohol than others, because they tend to develop alcohol tolerance. Organism of a social drinker will contain alcohol for the next 10 to 12 hours, after drinking. If this person drinks every day, it may happen that alcohol remains in the organs even for a whole week. When you drink alcohol it passes through the stomach and intestines into the blood. Several liver enzymes metabolize alcohol, including alcohol dehydrogenase (ADH) and cytochrome P450. Liver metabolizes almost all consumed alcohol, but there are remains of unprocessed alcohol. These non-metabolized traces of alcohol are found in sweat, urine and breath and are tested when the police stops you somewhere in the traffic. Studies reveal that women can drink 2 to 3 units of alcohol every day, and this amount won’t harm them. Men are advised to drink less than 3 to 4 units of alcohol per day. Everything more than these doses could cause serious health problems. The condition of your liver can significantly affect alcohol metabolism in your body. Healthy liver produce enough enzymes and that person can safely take a drink or two. Liver problems cause much slower metabolism of all toxins, including alcohol. Because of that, alcoholics may suffer from alcohol poisoning, heart damage and stomach problems. When you decide to drink, be smart. Know how much and what you drink and eat something while sipping your cocktail or beer. Sometimes, drinking a non-alcoholic and alcoholic drink together may actually reduce the amount of alcohol you consume. Don’t drink at all if you are pregnant or breastfeeding. 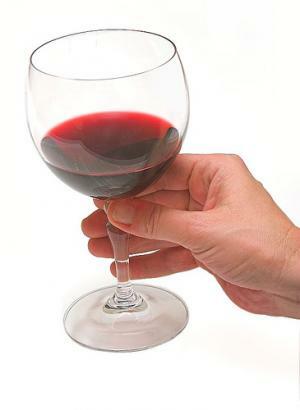 Even a glass of wine may cause harm to unborn children and babies. Antibiotics And Alcohol: How Do They Interact? Liver healing after continuous binge drinking? Possible Cure for Alcohol intolerance? ?